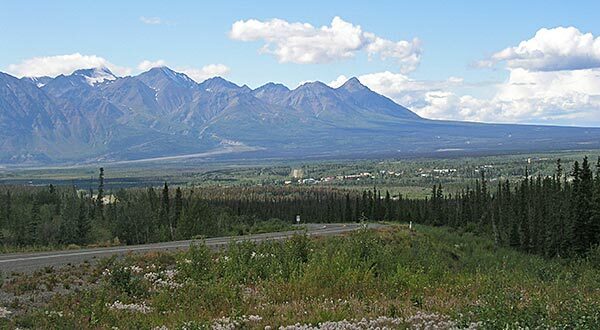 Haines Junction is a small village on the edge of a vast and spectacular wilderness landscape, with a mountain backdrop that captures the imagination. Hold your function in the Junction! The St. Elias Convention Centre is a new meeting and conference centre in Haines Junction that offers excellent facilities and services. Overlooking the impressive St. Elias mountains, this attractive building features a 3000-square-foot Grand Hall with retractable theatre style seating for 240 people. The hall offers a stage, projection room, dressing rooms and food service area. In addition to the Grand Hall the centre also offers 4 meeting rooms, and over 5000-square-feet of display and exhibit space.